General obligations maturing in July 2035 traded Monday as low as 68.5 cents on the dollar, down from an average of 77.3 cents Friday and the weakest since they were first issued at 93 cents in March 2014, according to data compiled by Bloomberg. The governor is talking about restructuring general obligations, a change from his earlier stance to protect Puerto Rico’s direct debt, said Gary Pollack, who manages $6 billion of munis as head of fixed-income trading at Deutsche Bank AG’s Private Wealth Management unit in New York. Garcia Padilla “referenced all Puerto Rico debt and that’s a scary thing,” Pollack said. With two days left in Puerto Rico’s fiscal year, the commonwealth is struggling to pass a budget that would allow it to make payments on a $72 billion debt load. Investors should work with the commonwealth to reduce its obligations, Garcia Padilla told the New York Times in an interview. A report commissioned by the island and released Monday suggests that Puerto Rico swap current debt to delay maturities. The U.S. territory of 3.5 million people is grappling with a jobless rate double the national average and a debt load bigger than every U.S. state except California and New York. The governor’s remarks land in a jittery global debt market, as investors weigh the possibility of a Greek default and exit from the euro zone. The governor and his chief of staff were unable to comment, Jesus Manuel Ortiz, a spokesman in San Juan for Garcia Padilla, said in a text message. Betsy Nazario at the Government Development Bank, which handles the island’s debt transactions and lends to the commonwealth and its agencies, didn’t respond to an e-mail, text and phone message. The governor plans a televised address at 5 p.m. local time after meeting with lawmakers. The territory’s House of Representatives and Senate last week passed differing budget bills for the fiscal year starting July 1, with negotiations between the two chambers continuing. Under the proposals, about 15 percent of the $9.8 billion budget would go to debt service. Both plans cut spending by more than $600 million. Bond insurers, including Assured Guaranty Ltd. and MBIA Inc., insure about $14 billion of Puerto Rico debt. Shares of Assured fell about 12 percent Monday to $24.14 as of 10:50 a.m. in New York. MBIA traded at $6.96, down 16 percent. Puerto Rico’s cash crunch is intensifying. The GDB had $778 million of net liquidity as of May 31, down from $2 billion in October. Officials last week were considering offering to exchange GDB bonds due in the next three years for new debt with longer maturities, according to a person with direct knowledge of the discussions. A group of former International Monetary Fund officials, in the report released Monday, recommend that approach across Puerto Rico debt. Puerto Rico should voluntarily exchange old bonds for new ones with later maturities and lower debt payments, Anne O. Krueger, Ranjit Teja and Andrew Wolfe wrote in the report, which is dated June 29. The U.S. Congress should allow Puerto Rico entities to file for Chapter 9 bankruptcy protection, and an independent oversight board could help improve the island’s finances, the authors wrote. Puerto Rico may confront budget deficits reaching $3.5 billion when factoring in rising health-care costs and the loss of the island’s excise tax in 2017 unless lawmakers continue the levy, the economists wrote. As lawmakers debate the budget for the fiscal year beginning July 1, the island’s main electricity provider is also hitting a wall. The utility, known as Prepa, has a July 1 bond payment that it may not make, and is negotiating with creditors over restructuring $9 billion of debt. Creditors say the power provider has the money for the payment. Hedge funds and distressed-debt buyers have been purchasing Puerto Rico securities as traditional muni holders reduce holdings. About half of U.S. muni mutual funds hold debt from Puerto Rico, down from 77 percent in October 2013, according to Morningstar Inc. The island’s securities are tax-exempt nationwide. The leaders of Europe’s two biggest economies gave little reason for hope to Greeks who awoke Monday to find their banks shut and capital controls imposed as the government took steps to avert the collapse of its financial system. Global stocks and Greek bonds tumbled as Prime Minister Alexis Tsipras’s decision to hold a July 5 referendum on the terms attached to rescue aid increased the risk that Greece will exit the euro. Merkel and Hollande, who have repeatedly said they want to hold the euro together, gave the Greek premier no leeway after he broke off negotiations over future bailout aid. Hollande suggested the referendum would determine whether Greece could stay in the 19-nation euro area, while Merkel said Europe’s credibility was at stake with its response. The Stoxx Europe 600 Index slid 2.5 percent by 6:57 a.m. in New York and Standard & Poor’s 500 Index futures fell 1.1 percent. The yield on Greece’s 10-year bonds jumped the most on record, as the euro dropped 0.5 percent to $1.1111. Tsipras, who promised to return “dignity” to the people and reject budget cuts imposed by creditors, appealed for “calm” after weekend-long queues at ATMs and gas stations. The bank controls followed a weekend of turmoil that started with Tsipras’s shock announcement late Friday of a July 5 referendum on austerity. People rushed to line up at ATMs and gas stations after the breakdown of aid talks late Friday and a European Central Bank decision to freeze its lifeline to Greek banks. Greece is the second euro-area country to impose capital controls after Cyprus in 2013. 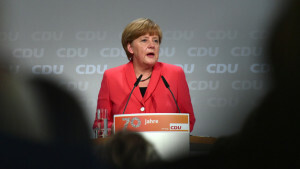 Merkel spoke to President Barack Obama on Sunday, agreeing on the importance of keeping Greece in the euro. Hollande said that while it is the sovereign right of Greece to hold the referendum, “what’s at stake is serious,” he told reporters in Paris on Monday after an emergency session of ministers to discuss Greece. Both Hollande and Merkel, in their public responses to the developments, stressed the joint efforts made since Greece first called for international aid in 2010 to halt the threat of contagion. “Europe can cope with such crises much, much better today because it has taken precautions,” Merkel said. Household spending climbed in May by the most in almost six years, buoyed by gains in incomes as the U.S. job market strengthened. Purchases increased 0.9 percent, the biggest gain since August 2009, after rising 0.1 percent in April, Commerce Department figures showed Thursday in Washington. The median forecast of 75 economists in a Bloomberg survey called for a 0.7 percent advance. Incomes rose 0.5 percent for a second month. Consumers may finally be putting savings from lower gas prices to work after holding back earlier this year. Higher stock and home prices that are lifting household wealth, in addition to increases in employment, may help Americans feel secure enough to boost spending. Another report showed the number of applications for unemployment insurance benefits held below 300,000, a level typically consistent with a strong labor market, for a 16th consecutive week. Jobless claims rose by 3,000 to 271,000 in the week ended June 20, according to figures from the Labor Department. Projections for consumer spending in the Bloomberg survey ranged from gains of 0.3 percent to 1 percent. The previous month’s reading was revised up after being initially reported as little changed. The Bloomberg survey median called for incomes to rise 0.5 percent. April’s income reading was revised up from a previously reported 0.4 percent increase. The report showed the price index tied to consumer spending increased 0.3 percent in May from the prior month. It rose 0.2 percent from May 2014. This inflation measure is preferred by Fed policy makers and hasn’t met their 2 percent target since April 2012. Stripping out the volatile food and energy components, the price measure increased 0.1 percent from the month before and climbed 1.2 percent in the 12 months ended May. Thursday’s report also showed that after adjusting for inflation, which generates the figures used to calculate GDP, purchases climbed 0.6 percent last month, the biggest gain since August, after being little changed in April. That increase may provide a needed lift to growth, especially after a poor showing in the first three months of the year. Commerce Department data Wednesday showed the economy shrank 0.2 percent at an annualized rate in the first quarter. Consumer spending climbed at a 2.1 percent pace after jumping 4.4 percent at the end of 2014. Spending on durable goods, including automobiles, increased 2.3 percent in May after adjusting for inflation, following a 0.1 percent drop in April, Thursday’s data showed. Purchases of non-durable goods, which include gasoline, rose 0.9 percent, while outlays on services climbed 0.2 percent. Auto sales have been boosting the spending figures, with cheap financing helping fuel Americans’ appetites for vehicles. Industry data from Ward’s Automotive Group issued earlier this month showed cars and light trucks sold at a 17.7 million annualized rate in May, the strongest pace since July 2005. Fuel savings may also be benefitting retailers such as restaurants, even if indirectly. Disposable income, or money left over after taxes, increased 0.2 percent in May from the prior month after adjusting for inflation. It was up 3.5 percent over the past year. The saving rate decreased to 5.1 percent from 5.4 percent in May. Donald Trump wants everyone to know just how really, really rich he really, really is. At a Trump Tower press conference last week to proclaim that he is a Republican presidential candidate, the real estate developer and reality-TV star waved around a piece of paper that he said demonstrated his net worth is $8.7 billion. This figure is more than double other credible estimates of his wealth and raises the question of how seriously should we take Mr. Trump’s latest claim. The short answer: Not at all. For starters, Mr. Trump’s financial “statement” said his real estate licensing deals, brand and branded developments are worth $3.3 billion—his greatest source of wealth. But there’s no information documenting the income or cash flows generated from lending out Mr. Trump’s name to casinos, condos or whatever. So you’ll just have to take his word for it. 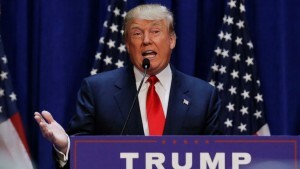 Mr. Trump also said he holds $302 million in cash and marketable securities. But there are some unusual qualifiers. For instance, Mr. Trump said he’s counting cash “before the collection of significant receivables.” Sounds like someone owes The Donald big-time. Who? Can he collect? After all, just because someone wrote an IOU doesn’t mean they can pay. Goldman Sachs is preparing to launch an online consumer-lending unit. The new venture would rival Main Street banks and other online lenders in offering $15,000-to-$20,000 loans that carry low interest rates. The investment bank expects to issue its first loans next year. A&P, the owner of its namesake supermarkets as well as Pathmark, Food Emporium and Waldbaums, is unloading 137 of its stores in New York, New Jersey and Connecticut. Dozens of stores in the city—encompassing poorly performing and lucrative locations—are on the block, including 10 Manhattan Food Emporiums. A&P, with 301 stores and partly owned by Ron Burkle’s Yucaipa Cos., has been struggling to turn a profit. Sequential Brands Group, which owns Linens ‘n Things and Ellen Tracy, is close to buying Martha Stewart Living Omnimedia. If the deal closes, it would mark the end of an independent publishing and housewares conglomerate built by Ms. Stewart. Terms of the deal are being hashed out. Martha Stewart Living Omnimedia had a market value of $370 million last week, a fraction of what it was worth in 1999. Sequential buys brands and licenses them to retailers and manufacturers. United Airlines will stop operating at JFK airport in October and move its overseas flights to Newark airport. The switch will let the airline increase the number of round-trip flights between Newark and the West Coast, as well as boost its premium-seating service for business travelers at Newark. Arianna Huffington has renewed her contract as chairwoman, president and editor in chief of her namesake online publication, ending rumors that she would exit the company she founded, given that Verizon now owns The Huffington Post. More of Central and Prospect parks will soon be off-limits to cars. The city will permanently close to traffic a portion of the northern end of Central Park and the West Drive of Prospect Park. JPMorgan Chase & Co. Vice Chairman Jimmy Lee died of a heart attack at the age of 62. Lee, who oversaw the bank’s investment arm, was known for his work in the syndicated loan market and as a dealmaker advising major conglomerates like General Electric. Michael Bloomberg is donating $100 million to Cornell Tech. The money will endow the first phase of construction of the $2 billion Roosevelt Island campus, which includes the Bloomberg Center, an energy-efficient academic building that will be named after his daughters, Emma and Georgina. His gift was announced in advance of the groundbreaking ceremony, where Mr. Bloomberg shared the stage with his successor, Mayor Bill de Blasio, who credited his predecessor with spearheading the graduate school’s creation. Donald Trump, the real estate mogul, reality television star and hair icon, today announced he is taking his first run at the White House. “We are going to make our country great again,” Trump, who turned 69 on Saturday, declared. “Sadly the American dream is dead. 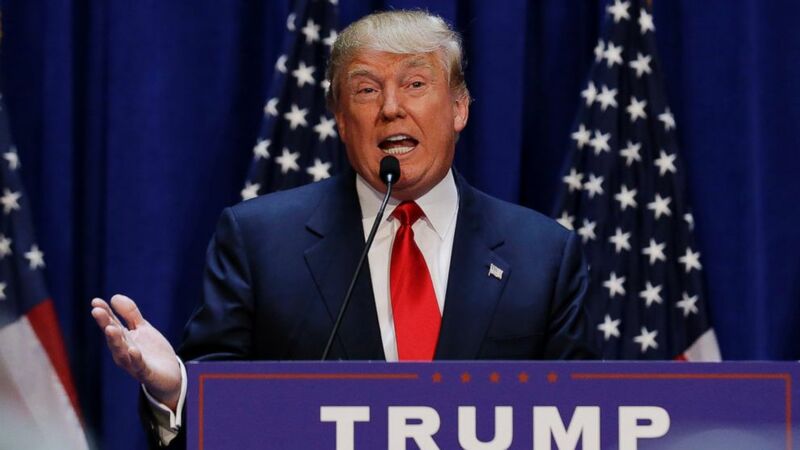 But if I get elected president I will bring it back, bigger, and better, and stronger than ever before,” Trump said today to a packed room of supporters. 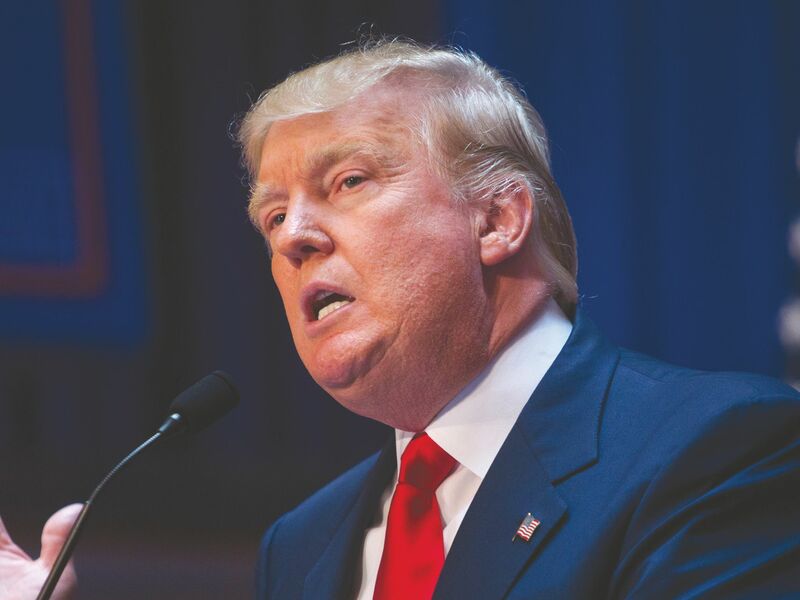 Trump entered the real estate business started by his father, the late Fred C. Trump. Today, the kid from Queens is worth just over $9 billion, he claims. The name Trump can be found on countless Manhattan buildings along with hotels and golf courses across the globe. “I’m really rich,” Trump said after declaring his candidacy today. “I will stop Iran from getting nuclear weapons,” said Trump, who also said that he wouldn’t allow Secretary Kerry to spearhead the negotiations. “And I promise I will never be in a bicycle race,” said Trump, referring to Sec. Kerry’s biking accident in May. Trump has been married three times, his longest marriage to Ivana Zelnícková ended in divorce in 1992, he married actress Marla Maples a year later until they called it quits in 1999. His current wife, Melania Knauss married the Donald in 2005. Trump has three children from his first marriage – Donald Jr, Ivanka and Eric, a daughter Tiffany from his second marriage, and a son Barron with wife Melania. Ivanka had the pleasure of introducing her father, whose grand entrance to his announcement event was a ride down an escalator. 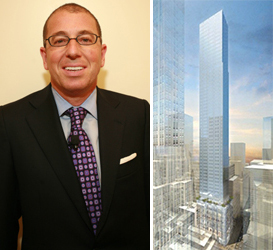 Jeff Gural, the New York real estate tycoon, had cleaned up well. The shaggy, steel-gray beard was gone. The customary khakis had given way to a blue suit. As he sat on a dais on Thursday at the Meadowlands Racetrack he has operated in East Rutherford, N.J., for over two years, a smile spread across his face. A dozen elected officials were in the room to endorse putting a referendum before voters this fall to expand gambling to northern New Jersey and to support Mr. Gural’s vision for a $1 billion casino at the racetrack. In a surprise, Vincent Prieto, a Democrat who is the State Assembly speaker, also showed up to express his support. Though he was not at the event, Gov. Chris Christie, a Republican who had once been cool to the idea, has also become a proponent of a casino in the northern part of the state. Building allies among elected officials and capitalizing on a growing momentum to expand gambling in New Jersey, Mr. Gural is seeking to edge closer to what has long been a tantalizing goal: a gambling site just a few miles from New York City. His pitch: With over 14 million adults within 50 miles of the racetrack, Mr. Gural and his partner, the Hard Rock, estimate that their proposed Hard Rock Casino could generate $400 million a year in tax revenues; half of that would go toward reviving Atlantic City, where four casinos closed last year. “It’s a spectacular project,” Mr. Gural said. It must still overcome opposition from Atlantic City and lawmakers in South Jersey and win a statewide referendum. But the battle over the future of gambling in New Jersey has placed Mr. Gural, 73, at the nexus of a fierce tristate gambling war in which Pennsylvania casinos have sucked the life out of Atlantic City; the only casino in New York City is a runaway success; and a $1 billion casino resort in the Catskills is being built to grab patrons from North Jersey as well as New York and Pennsylvania. Mr. Gural has essentially sat down at the regional blackjack table to play three simultaneous hands. Not only is he bidding for a casino at the Meadowlands Racetrack, seven miles west of Manhattan, but he will also soon submit a bid for a full-scale casino in Nichols, N.Y., near the northern border of Pennsylvania. Then there is his pat hand: Mr. Gural and his partners own the land underneath the Sands Casino Resort in Bethlehem, one of Pennsylvania’s most successful casinos. And he does not even like casino gambling. It is really all about his lifelong love of horses, he said. Until recently, Mr. Gural’s day job was running a major commercial real estate company, Newmark Grubb Knight Frank, and overseeing a family portfolio of about 40 buildings. A few years ago, he sold the family firm, although he remains at Newmark as chairman. Mr. Gural worked with his father, Aaron, in the real estate business. In 1978, he and his friend Barry M. Gosin, Newmark’s chief executive, bought out Mr. Gural’s father. Mr. Gural, who lives in the El Dorado on the Upper West Side of Manhattan, earned a reputation as a rare liberal Democrat in the real estate industry and as a “soft touch” for charities. After New York State started allowing racetracks to install electronic slot machines, Mr. Gural bought and reopened two bankrupt harness tracks — Tioga Downs and Vernon Downs in central New York, both of which have slot machines. Mr. Gural said the tracks employed hundreds of people in one of the most depressed parts of the state and had generated over $300 million for public education. In 2012, Mr. Gural signed a deal with Governor Christie to operate the Meadowlands Racetrack, after the state decided to cease subsidizing the state-owned complex, a victim of the decline in the popularity of horse racing. He lined up partners — Hard Rock owns a one-sixth stake — and built a $120 million grandstand. Judging from a recent Saturday night, the Meadowlands, which features a large sports bar and several restaurants, attracts younger patrons than can be found at Aqueduct Racetrack in Queens, whose slot-machine parlor has been hugely successful. But if Mr. Gural is not motivated by money, he also does not want to preside over failing tracks in New York and New Jersey. The betting was that the slot parlors at New York tracks and the Meadowlands would eventually house full-scale casinos. “I would not have done the Meadowlands if I didn’t think — it’s common sense — that there’d be a casino,” he said. But until recently, Governor Christie preferred to focus on reviving Atlantic City, where gambling revenues have fallen by half from their $5.2 billion peak in 2006. Alex Bumazhny, a casino analyst at Fitch Ratings, predicts at least two more of the eight remaining casinos there will close. The problem for the gambling industry is that there are too many casinos chasing too few gamblers — the Northeast, in particular, is considered saturated, with more casinos on the way. Still, Mr. Bumazhny is far more optimistic about the prospects for a casino in the Meadowlands, or in Jersey City, where a businessman, Paul Fireman, has proposed a $4 billion casino resort with a 95-story tower and 14 restaurants next to a golf course he owns. “It’s probably one of the better locations in the United States,” he said. In an attempt to woo support from Atlantic City and South Jersey, Mr. Gural has proposed a 55 percent tax rate on gambling revenues from the proposed Meadowlands project, half of which would be funneled to noncasino projects in Atlantic City. Governor Christie now favors casinos in North Jersey as long as new tax revenues are used to help Atlantic City. Mr. Gural, Mr. Fireman, the governor and many North Jersey politicians and business leaders are pressing for a referendum on gambling in North Jersey this November. To make that happen, the Legislature must vote on scheduling a referendum before Aug. 3. But that prospect faces a difficult hurdle: Stephen M. Sweeney, the president of the State Senate who is from South Jersey. Senator Sweeney, a Democrat and a probable candidate for governor, has tried to walk a fine line, saying a casino question should be put off until 2016 when there would be higher voter turnout. That, however, would put it in the middle of a presidential campaign, when it would be harder and far more expensive to promote an expanded gambling message to voters, Mr. Gural said. He added that he and James Allen, the chairman of Hard Rock, were ready to spend as much as $20 million on an advertising campaign. EAST RUTHERFORD, N.J. (CBSNewYork/AP) —Hard Rock International and the Meadowlands Racetrack are unveiling plans for a new casino just outside New York City. Jeff Gural, owner of Meadowlands Racetrack, expects to see concerts, horse racing, live table games and slot machines at the new facility. “The whole works,” as he put it. Gural, who will unveil the plans Wednesday along with the chairman of Hard Rock International , said the project would bring more than 10,000 jobs to the area and generate more than $400 million in yearly revenue — some of which would go towards helping the struggling Atlantic City, CBS2’s Andrea Grymes reported. “It would be good for everybody; it would create jobs, not only in the casino industry, it would help Atlantic City recover and it would have an extra couple hundred million dollars, hopefully,” Gural said. Experts say the casino could be one of the most successful in the country, but Atlantic City fears it could put it out of business . Many who live near the Meadowlands said they have big concerns. “Traffic, a gambling element that isn’t suitable for this area,” one resident told Grymes. “We get nothing out of it and it’s too crowded here anyway,” another resident said. Still, others believe a casino would be a big boost to East Rutherford and surrounding communities. ‘I think it’s gonna be good for business and it’s gonna bring more people to the area,” resident Catherine Spinella said. “I think it’ll bring jobs to northern Jersey, which will hopefully alleviate some of the tax burden,” another resident said. To encourage the passage of the state constitutional amendment, Gural has agreed to pay a 55 percent tax rate.